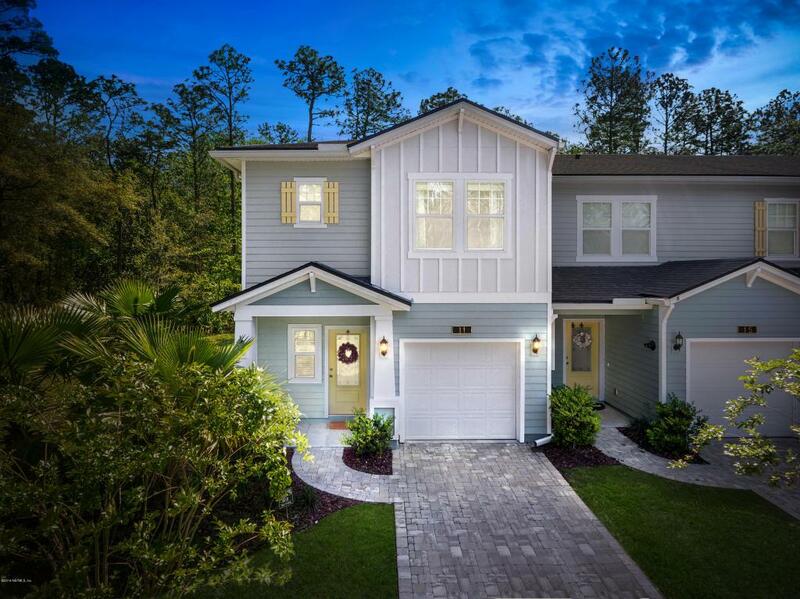 Welcome home to this 3 bedroom, 2 and a half bath two story townhome located in Nocatee. At just under 1600 square feet there is enough room for everyone to enjoy. 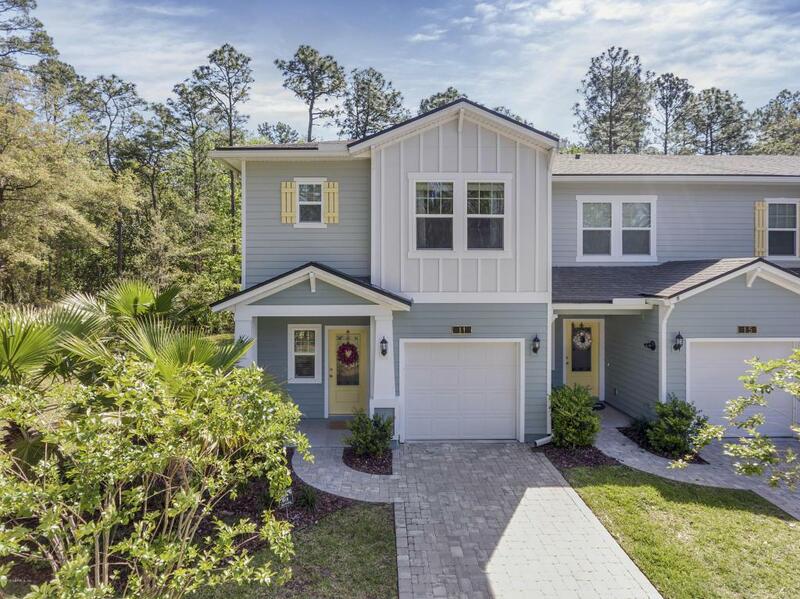 Located in a cul-de-sac, this END UNIT townhome has a huge side yard and backs up to a preserve for ultimate privacy. 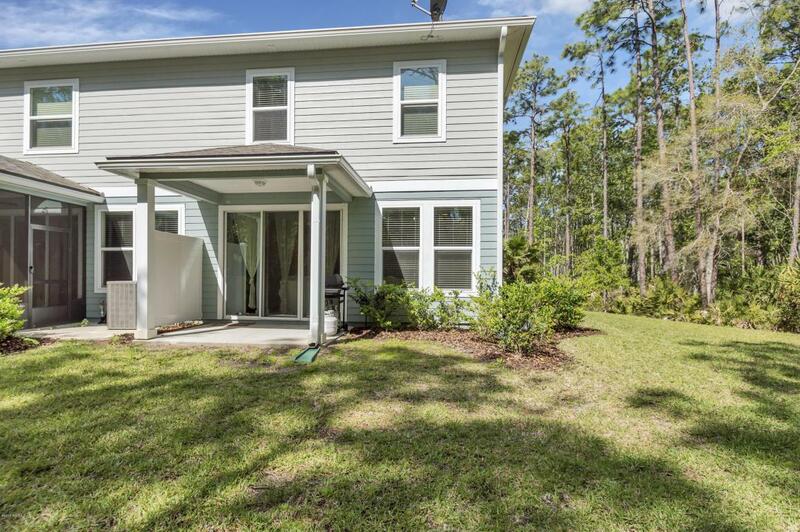 Enter inside and you'll notice the ceramic wood tile flooring throughout the first floor. The kitchen boasts granite counter tops, subway tile back splash, and stainless steel appliances. The kitchen island and open floor plan living/dining room is great for entertaining. Upstairs are the 3 bedrooms and an open loft perfect for a play area for kids or an office. Separate laundry area with washer and dryer. The master bedroom has a large bathroom with a beautiful, upgraded walk in shower.Enjoy your morning coffee outside under your covered lanai and take in the sounds and tranquility of nature that surrounds you. 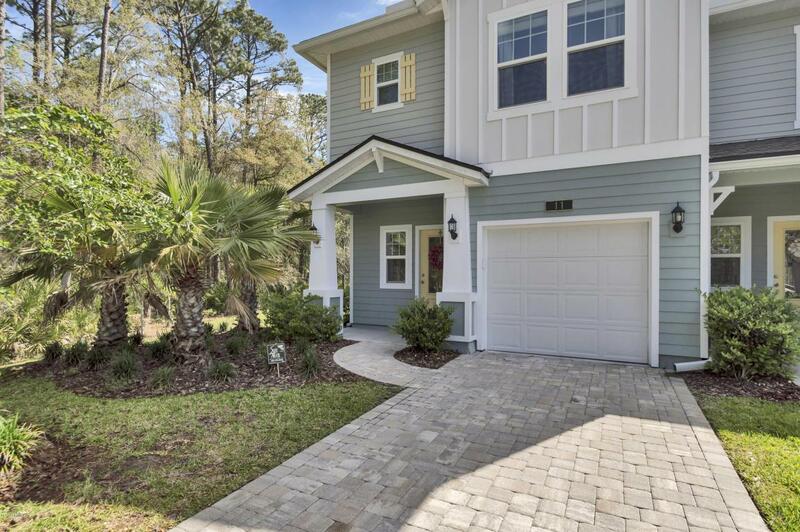 Hurry this townhome is priced to sell and won't last long!